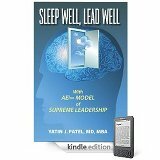 Consensus Statement (published in June 2015 issue) from American Academy of Sleep Medicine and Sleep Research Society recommends 7 or more hours of sleep every night. 1. Sleeping less than 7 hours per night on a regular basis is associated with adverse health outcomes, including weight gain and obesity, diabetes, hypertension, heart disease and stroke, depression, and increased risk of death. Sleeping less than 7 hours per night is also associated with impaired immune function, increased pain, impaired performance, increased errors, and greater risk of accidents. 2. Sleeping more than 9 hours per night on a regular basis may be appropriate for young adults, individuals recovering from sleep debt, and individuals with illnesses. 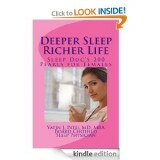 For others, it is uncertain whether sleeping more than 9 hours per night is associated with health risk. 3. People concerned they are sleeping too little or too much should consult their healthcare provider. › Newer Post Why Change Liners for Your CPAP Mask?